Have you heard about solo 401(k) plans? The traditional type of 401(k) retirement plan is now available for self-employed individuals. And it lets you save more than other types of plans. SHOULD YOU "ROBS" YOUR 401(K) TO START A NEW BUSINESS? ROBS is an acronym for a relatively new financing arrangement known as a "rollover as business startup" being touted on the Internet and arranged by some investment firms. Is it a good option for your new business? DO YOU OWE TAXES WHEN YOU GIVE A GIFT? Some gifts are big, others are small, and the Internal Revenue Service expects you to report them all. Or do they? Gift giving can be an important tax planning strategy. This year, a slowing economy might lead you to help family members with upcoming fall college bills or unexpected expenses. Now, before you write the checks, is a great opportunity to get a handle on the rules. WHEN IS INCOME TAXABLE, AND WHEN IS IT NOT? You only have to examine your paycheck to realize certain income is tax-free. For example, health insurance premiums paid by your employer are generally not includible in your income. Do you know the tax status of other types of income? Here's a quiz to test your knowledge. The Internal Revenue Service has some important information to share with individuals who have sold or are about to sell their home. If you have a gain from the sale of your main home, you may qualify to exclude all or part of that gain from your income. Here are ten tips from the IRS to keep in mind when selling your home. To take best advantage of the lower long-term capital gains tax rates, investments that produce capital gains should be held in taxable accounts and those that produce interest income should be held in tax-deferred accounts (like your IRA or 401(k) plan). If you put capital gain investments in tax-deferred retirement accounts, you could turn income that would be taxed at lower rates into ordinary income taxed at higher rates. As schools get back in session, it's a good time to check the education tax breaks for which you might qualify. First, there's the American Opportunity Tax Credit (formerly called the Hope credit) for a percentage of qualified expenses paid during the first four years of higher education. Second, the Lifetime Learning Credit allows a deduction for a percentage of qualified expenses paid for any year the American Opportunity Credit isn't claimed, and it even applies to job-related classes. Third, you may qualify for a deduction for interest paid on student loans. Fourth, education savings accounts allow annual nondeductible contributions for children under 18, with tax-free withdrawals for qualifying education expenses. Section 529 plans for college expenses should also be investigated. Are you familiar with income phase-out levels for those tax credits and deductions you hope to take advantage of on your 2011 tax return? While it doesn't make sense to make less income just to qualify for a tax break, shifting income from one year to another may sometimes be a smart move. Learn about the tax credits and deductions for which you might qualify. Then estimate your income for this year, and if it will be just beyond qualification range, look for opportunities to defer income until a later year. Investment income can often be shifted, or you might delay the exercise of stock options or the receipt of a bonus. Succession planning is very important for a family owned business. Before you sit down with your tax and legal advisors to draw up a succession plan, you should think through three key issues: who do you want to succeed you, when do you want the transition to take place, and how do you want to structure the transition? * The third quarter installment of 2011 estimated income tax is due for individuals. * September 15th is the filing deadline for 2010 tax returns for calendar-year corporations that received an extension of the March 15th filing deadline. * September 15th is the filing deadline for 2010 partnership tax returns that had an extension of the April 18th filing deadline. * The third installment of 2011 estimated tax is due for calendar-year trusts and estates. 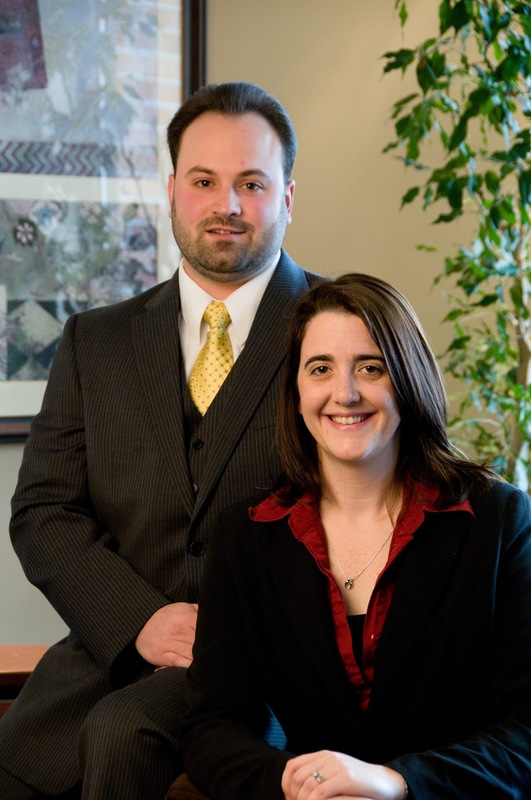 Contact our office at (518) 798-3330 if you need more information or filing assistance. Sarah B. Lindsell, CPA, Tax Supervisor, and Sean E. Corlew, Senior Tax Associate, of the certified public accounting firm, CMJ, LLP, recently attended a week long tax training program offered by the American Institute of Certified Public Accountants (AIPCA) in Chicago, IL. As the premier tax training school for tax practitioners, highly-focused, intensive training is provided by nationally renowned tax experts. Programs focused on Partnerships, LLCs and LLPs, taxation of estates, trusts, and gifts, buying and selling corporations, and consolidated income tax returns. Contact CMJ, LLP. Powered by Blogger.